I found this poem very interesting posted in camdisc composed by Davan Long. The poem reflects the present situation of Cambodia and link this reality to the past and the future. Read poem attached in pdf. below. I wish you have a great 2012. As most of us living in the West, I left Cambodia in the 80’s and could hardly remember the last time I wrote something in Khmer. All my schooling and professional training over the past twenty five years were in either English or French. However, during my early childhood in Cambodia and refugee camps, I had great passion for reading and I read every Khmer books I could put my hands on – after all, there was nothing else to do in refugee camps. A few months ago, at the height of the Boeung Kak protests against forced eviction, I exchanged my view with others on Facebook. Most people posted their comments in Khmer while I wrote mine in English. Interestingly, one poster labelled me as a foreigner because of my English writing, and said that a true Khmer person should write in Khmer when exchanging view with other fellow Khmers, especially with those in Cambodia. He was right, and I was embarrassed, if not ashamed, for not being at ease with my mother tongue language. Since then, I’ve spent some precious times to relearn Khmer. As part of the learning process, I decide to write a poem which I’d like to share with you all. Buddha characterized those who dwell in the past, which cannot be changed, as stuck, and said that those who dream of an imagined future equally waste the present moment, the here and now that provide an opportunity for one to influence the future. Buddha did not tell us not to learn from the past. He taught us to learn from it, but not to live in it, which boxes us in, making us unable to move forward to the future, which will be created based on the actions we take in the present day. “I never see what has been done; I only see what remains to be done,” said Buddha. In three days, the New Year 2012 will be upon us. The next 366 days await. What we do or do not do will influence our future. As usual in the holiday season, we reflect on what we have or have not done as we contemplate our new year resolutions. As I wish all readers, Christians and non-Christians, a merry Christmas and a happy New Year, I find in this occasion a good opportunity to write on Lord Gautama Buddha’s teachings from 2,500 years ago, which continue to provide good lessons for mankind today. Dhamma, in its other meaning, means nature. Nibbana or Enlightenment means practitioners are able to adapt, to adjust, to realize, and to apprehend closely to the nature. Sometime, the effort of overcoming the nature, is just a camouflage of self-destruction. Modern technology might not be able to protect the future decline of human beings by its modern technology. Academia called it cycle of repercussions. With this basic understanding, women can be equally recognized by their effort and mentality, but not by natural dependency and physically built-up. It is not only between women and men, all beings are diverse and different. Of course, I do agree that a Khmer saying of satrey cannot move around the stove is not a politically correct one. We should change it to “satrey is the mother of the stove”. It is murky for Khmer study in glancing at the gender issue: male and female is equal, not equal, neutral; which come first? Once I believe in the past, Khmer female is the leader and the founder of this nation, and many words used in Khmer words start with female first such as me-srok, me-taep, me-kum etc. However, later on I learn from some of our scholar that these words doesn’t reflect to female at all, so!! The end of 2011 is filled with less than happy news on Cambodia and her people that dampens the holiday mood. On the first of December, Radio Free Asia presented a somber broadcast on the culture of corruption permeating Khmer youth, starting with kindergarten children, the teaching corps, and moving up to education officials in government. Allegations of corruption at this foundational level do not bode well for Cambodia’s future. 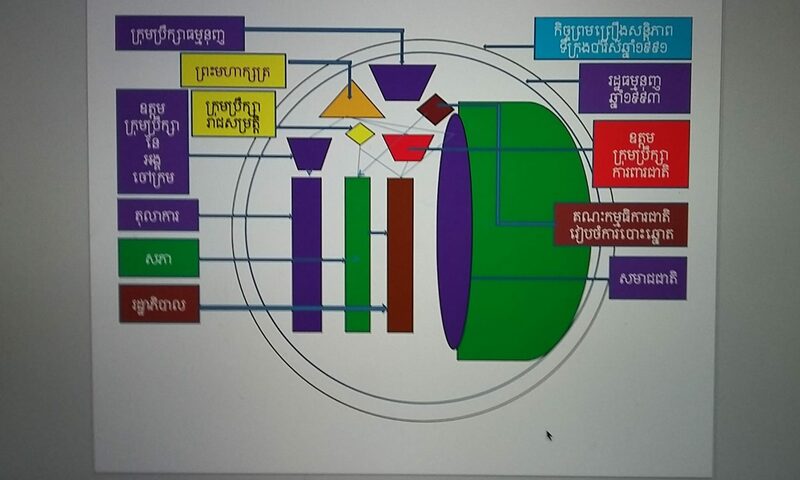 The report on corruption by RFA’s Keo Pich Meta began with an illustrative Khmer saying “Tumpaeng snorng russei,” which refers to bamboo shoots that will grow and replace aging bamboo trees. Bamboo shoots are the nation’s future pillars. The saying counsels children to go to school, study hard, become educated, to help build a prosperous country. RFA’s report describes unspecified numbers of Khmer children and youth, the bamboo shoots, who are unlikely to grow up to become strong future pillars of a broadly prosperous society. They have fallen prey to societal ills, drugs, laziness, a lack of desire to learn, an avoidance of schooling, among other things. Of course there are children and youth going to school, the report says, but in the course of their schooling it has become customary to bribe teachers for better grades so students can move to the next level. Having learned a culture of corruption at such a young age, these small bamboo shoots will probably carry the culture of societal ills with them as they grow. Neither was the news from Cambodia in November encouraging to those who advocate for Cambodians’ civil rights. In late November, the small community of people of Boeung Kak Lake – those left from the original 4,000-plus residents who were victims of forced eviction – took to the streets to protest against the real estate firm Shukaku Inc., owned by ruling Cambodian People’s Party Senator Lao Meng Khin. The people of Boeung Kak Lake were holding on desperately to the 12.44 hectares of land that remains after the lake and adjacent 120 hectares were co-opted by the government and leased for 99 years to Shukaku for development.